Packaging Dimension (WxLxH) 30x13.5x15 cm. This durable plastic balance is designed for learning weight and hands-on measurement. 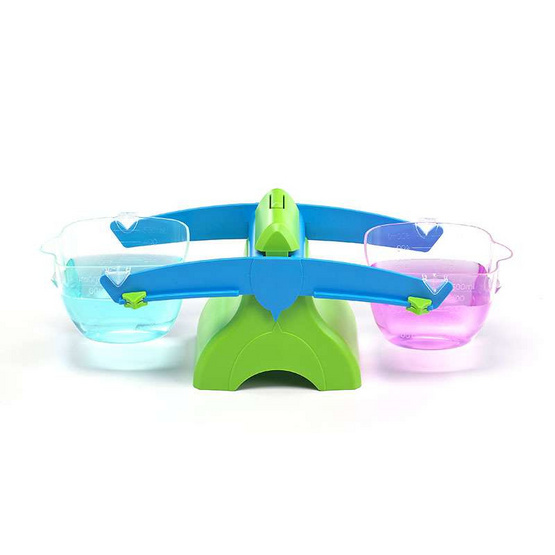 The clear removable graduated buckets are easy for small hands to pour and measure. Buckets hold solids or liquids up to 500ml. sliding compensator is for level and accurate mea-surements. Assembled dimensions L40 x W11cm. 15cm high.